Nothing wards off the chill of winter, like a drink in front of a nice roaring fire. As cold weather sets in, we thought it would be helpful to remind you about all the wonderful taverns in our area with fireplaces. Olde English is located in one of the oldest buildings in Albany, and when a fire is burning in the fireplace, and you&apos;re sitting at one of the wood tables before it, you can almost imagine what the little public house was like in the 1730s. 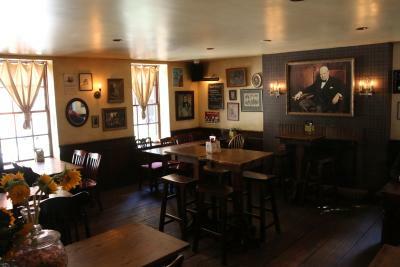 Grab a pint of your favorite British beer, and sit before the fireplace, which is graced by a portrait of Winston Churchill. This spot has live music and lively trivia nights once a week. They also have some of the best burgers and fish and chips in the area. Long live the queen! This brewery features great beer, and food in an inviting setting. 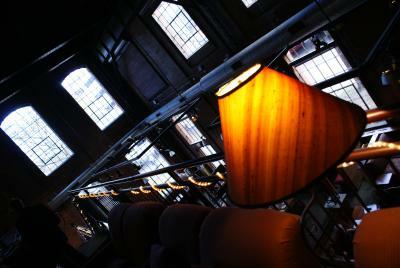 The brewery was started in Saratoga Springs, and opened its second location in a former warehouse that they made into a Portland-esque space in the heart of Albany&apos;s emerging Warehouse District. A friendly spot, the restaurant is divided into a dining area and bar area, with a big indoor fire "pit" dominating the center of the room. 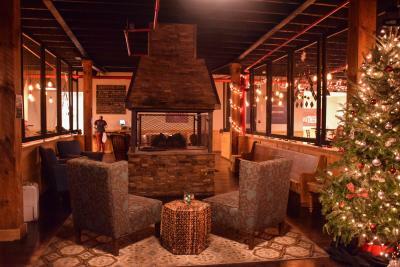 The fireplace, which has benches and comfortable chairs pulled up around it, provides ambiance and warmth to patrons, who sidle up to it, craft brew and woodfired pizza in hand. 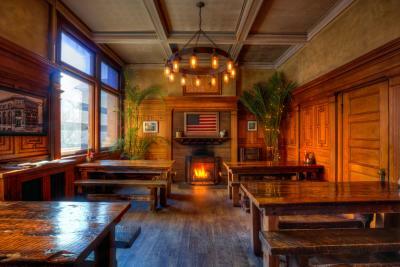 The grand fireplace at one end of this popular beer hall gives this place a ski-lodge feeling, all warm and accommodating after a day on the slopes (or at the office!) Warm light from the chandeliers bathe the simple wood tables and benches, creating a charming scene on a warm winter evening. Beer enthusiasts come here for the wide selection of craft beers. Foodies come here for the creative and ever-changing menu. Visitors come here for its &apos;straight out of Brooklyn&apos; vibe. Whatever your bent, there are good reasons to check this place out on a wintry evening. It takes a lot of fireplace to do this enormous space justice -- and that&apos;s precisely what you can count on from the Albany Pump Station. 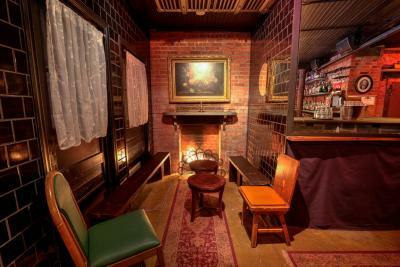 The fireplace, which is located at one end of their dining room, has a lovely seating area in front of it, with cozy couches, chairs, and lamps. Dine at one of the tables and enjoy a view of the lit fire, or enjoy a casual beer on one of the couches in front of a rip-roaring blaze. There&apos;s also a cozy seating area upstairs that offers views of the dining room and the brewing area. This place is certifiably cool. This throwback bar offers a glimpse into Albany&apos;s fabled Prohibition era, and feels authentic right down to the tiniest detail. Come on Tuesdays, and see patrons bedecked in period garb and dancing to jazz music. Imbibe craft cocktails fashioned with local spirits and handmade mixes, and sink into one of the spindly chairs by the fireplace to sit a spell and drink it all in. 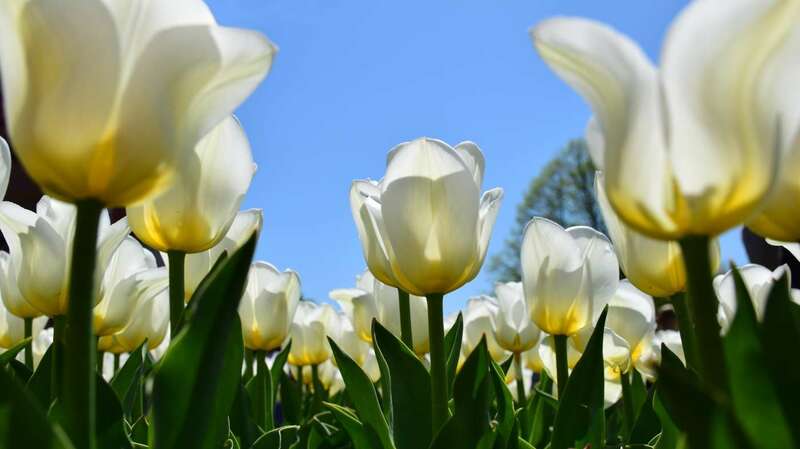 It&apos;s been waiting for you.